My amazing nephew, Aaditya is a really great photographer. You'll see for yourself because he and I are starting a little project right here on this blog to bring you one picture of Gurgaon every week. Funny, poignant, impressive, touching, good, bad, ugly - it's the city we live in and it's got it all. 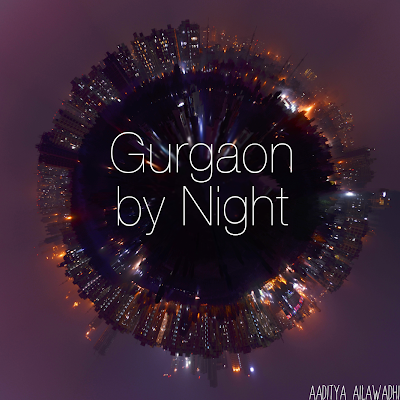 To kickstart "Lens on Gurgaon", here's Gurgaon by Night on a tiny little "photoshopped" planet. Buy Packed Food Online through our online grocery shopping store of Delhi, Gurgaon and Noida... Online Grocery Shopping made easy.